There’s nothing quite like sharing the feeling of home with your family. Between milestones and everyday moments, your home is the safest and most comfortable place in the world. Only someone who lives and breathes the value of family knows how to build homes that families deserve, and we’re proud to say that at Shawn Forth Homes, that someone is none other than our fearless leader, Shawn! Today, Shawn ensures that each one of his gorgeous homes are as comfortable as they are innovative, and built just for families like yours. With Shawn’s incredible direction and vision, coming to work every day is a dream — because we get to make your dreams come true. Because we genuinely love what we do here (thanks in large part to Shawn!) we guarantee a rewarding building process from beginning to end. 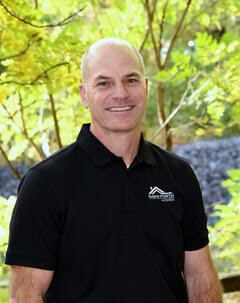 Best of all, Shawn has taught us to treat every homeowner as if they were a member of our own families. Shawn, who has been married to his wife, Alicia, for 22 years, and raises 3 boys and 2 girls of his own, emphasizes these family values throughout every aspect of our work, and inspires us to always improve for those around us. If Shawn wasn’t a builder, he says he’d work at the church or help people in some way. Other than that, he’d absolutely open up a BBQ shack in the mountains so he could cook, fly fish, and then head to the beach in the winter… Shawn makes sure that every home is built with the attention to detail that you deserve, so what are you waiting for? Come on in to meet the man himself and get started on your new Shawn Forth home today!